We understand when travelling for work, the added stress of accommodation issues are entirely unwelcome and it is our pleasure to eliminate that worry. Tailored Stays was set up first and foremost to deliver a dedicated service to the corporate market, a service that was until now unavailable in Cambridge. Our team are trained and experienced in the requirements and expectations of the niche corporate market, which is why we are proud to have secured the reputation amongst our guests as the leading provider in Cambridge to offer a flexible, reactive and proactive corporate service. When you stay with Tailored Stays you can feel confident in the knowledge you have an understanding team of experts on hand to make your stay as convenient as possible. All our properties are located in central Cambridge, close to Cambridge train station, & well-connected for the business centres, universities & hospital making. Each of our properties are equipped with all the business essentials as standard, including high speed internet, 24/7 concierge & out of hours support. We understand that each traveller has different requirements which is why we have a dedicated team which oversee the whole process. Around the clock we can assist you with business, entertainment or travel arrangements through our dedicated and knowledgeable concierge team. We carry out frequent benchmarking against our competitors to ensure we are always delivering the very best value for money and market leading service. Tailored Stays understands that businesses invest in corporate travel and the relocation of staff, requiring customised accommodation depending on that employee’s needs. The Tailored Stays team know too well the pains of business travel, which is why we set out to create an organisation equipped to support the modern day business traveller. Understanding the home comforts, you miss, the luxuries that makes traveling that little bit easier, and ways in which we can help you pack a little lighter.  We are proud to be the preferred accommodation provider for many of the city’s organisations both large and small.